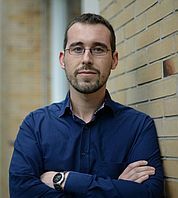 Ingo Henneberg is Research Associate at the Chair of Multi-Level Governance (Prof. Dr. Diana Panke) and was Acting Executive Manager at the Department of Political Science (2015-17). Ingo Henneberg studied political science at the Universities of Bamberg, Passau, Málaga (Spain) and Augsburg and graduated with a BA in Governance and Public Policy and an MA in Conflict Studies (final grade: very good). Internships and project positions took him among others to the Ministry of Defence, the German Bundestag (Foreign Affairs Committee), the German Association for Peace and Conflict Research (AFK) and the German Institute of Global and Area Studies (GIGA) in Hamburg. The working title of his dissertation project is "Layers of peace: Managing African conflicts in the era of regime complexity" and deals with various questions of regional and international cooperation in the African peace and security architecture. Field research trips have taken him to Botswana, Ethiopia, South Africa and Tanzania. Bock, Andreas M./Henneberg, Ingo (ed.) (2014): Iran, die Bombe und das Streben nach Sicherheit. Strukturierte Konfliktanalysen [Iran, the Bomb and the Quest for Security. Structured Conflict Analysis]. Series: Innovative Forschung – Theorien, Methoden, Konzepte. No. 2. Baden-Baden: Nomos. ISBN: 978-3-8487-0802-4. http://www.nomos-shop.de/21573. Brühl, Tanja/ Henneberg, Ingo (2016): Standortübergreifende Ringvorlesung – Erfahrungen eines Lehrprojekts zum ‚Islamischen Staat’ [Cross-site lecture series – Experiences from a teaching project on the ‘Islamic State’]. In: Zeitschrift für Friedens- und Konfliktforschung. Vol. 5, No. 2. p. 274-282. DOI: 10.5771/2192-1741-2016-2-274. *Plank, Friedrich/ Henneberg, Ingo (2015): Von der heißen Schlacht zum kalten Buffet – Strategien der Inklusion und Exklusion in Power-Sharing Abkommen und Friedensprozessen [From Fighting to Dinner – Strategies of Inclusion and Exclusion in Power-Sharing Agreements and Peace Processes]. In: Zeitschrift für Friedens- und Konfliktforschung. Vol. 4, No. 1. p. 74-114. DOI: 10.5771/2192-1741-2015-1-74. Henneberg, Ingo (2013): Das politische System des Südsudan [The Political System of South Sudan]. In: Verfassung und Recht in Übersee – Law and Politics in Africa, Asia and Latin America. 2-2013. p. 174-196. DOI: 10.5771/0506-7286-2013-2-174. *Panke, Diana/ Henneberg, Ingo (2018): International Organizations and Foreign Policy. In: Thies, Cameron G. (Ed. ): The Oxford Encyclopedia of Foreign Policy Analysis. Oxford University Press. DOI: 10.1093/acrefore/9780190228637.013.443. Henneberg, Ingo (2018): Choose your partner wisely: regional actors in crisis management. Blog post Peacelab 2016 (On the Guidelines of the Federal Government for Crisis Management and Peacebuilding). November 9, 2018. Henneberg, Ingo (2016): Text comparison of the Interim Constitution of Southern Sudan (2005) and the Transitional Constitution of the Republic of South Sudan (2011). University of Freiburg. DOI: 10.6094/UNIFR/12863. Henneberg, Ingo/Plank, Friedrich (2015): Conflict Management in the Constitution of South Sudan (2011). In: Marauhn, Thilo/ Elliesie, Hatem (ed. ): Legal Transformation in Northern Africa and the South Sudan. The Hague: Eleven International Publishing. p. 117-136. Plank, Friedrich/Henneberg, Ingo (2014): Die Anwendungspotenziale der strukturierten Konfliktanalyse in den Internationalen Beziehungen [The Potential for Application of Structured Conflict Analysis in International Relations]. In: Bock, Andreas M./ Henneberg, Ingo (ed. ): Iran, die Bombe und das Streben nach Sicherheit. Strukturierte Konfliktanalysen. Baden-Baden: Nomos. p. 33-34. Bock, Andreas M./Henneberg, Ingo (2014): Der Iran und die strukturierte Konfliktanalyse [Iran and the Structured Conflict Analysis]. In: Bock, Andreas M./ Henneberg, Ingo (ed. ): Iran, die Bombe und das Streben nach Sicherheit. Strukturierte Konfliktanalysen. Baden-Baden: Nomos. p. 7-14. Henneberg, Ingo (2013): Frieden und Grenzen. Bericht zum 45. AFK-Jahreskolloquium “Frieden und Grenzen: Herausforderungen für die Friedens‐ und Konfliktforschung”. In: Wissenschaft und Frieden. 3-2013. p. 46. ---*. 11th Pan-European Conference on International Relations (EISA). Barcelona, September 16, 2017. Regional Peace and Security Cooperation: Insights from Africa. 7th International PhD Workshop: Comparative Regionalism: Theoretical and Methodological Advancements. The Hebrew University of Jerusalem. Jerusalem, May 18, 2017. Panel organization: Frieden und Sicherheit durch Regionalorganisationen? [Peace and Security trough Regional Organizations?] together with Friedrich Plank. Drei-Länder-Tagung: Regionalismus in einer entgrenzten Welt (DVPW, ÖGPW, SVPW). Heidelberg, 30. September 2016. Cheap Talk or Long-term Institutionalization? – Legal Competences and Activities of Regional Organizations in Maintaining Peace and Security in Africa (Panel 08: Regionalorganisationen und regionale Sicherheit [Regional Organizations and Regional Security]). Drei-Länder-Tagung: Regionalismus in einer entgrenzten Welt (DVPW, ÖGPW, SVPW). Heidelberg, 30. September 2016. Multi-Level Peace and Security Cooperation among Regional Actors – The Case of Boko Haram. 57th International Studies Associations Annual Convention (ISA). Atlanta, March 19th 2016. Assessing Legal Competences and Activities of Regional Organizations in the Field of Peace and Security (Panel: Ursachen und Konsequenzen des institutionellen Designs von Regionalorganisationen /Subject group Comparative Regionalism). Congress of the German Political Science Association (DVPW) 2015. Duisburg, 25th September 2015. The Role of Regional Organizations in Managing Violent, Intrastate Conflicts: Mapping the Competences of Regional Organizations in the Field of Peace and Security (Panel SC75: Understanding Peacebuilding Interventions Across Countries). 56th International Studies Associations Annual Convention (ISA). New Orleans, February 21th 2015. Beggars can´t be choosers? Inklusion/Exklusion in Power Sharing Abkommen und Friedensprozessen (Panel: Inclusion and Exclusion in peace negotiations and transition processes) together with Friedrich Plank. 46. Colloquium of the German Association for Peace and Conflict Studies. Villigst, April, 4th 2014. Why threats prevail- Towards a new understanding of security together with Dr. Andreas Bock and Friedrich Plank. 8th Pan-European Conference on International Relations (EISA). Warsaw, September, 21th 2013. Supported by the President of the University of Augsburg. Conflict resolution in the constitution of South Sudan (2011) together with Maik Boldau and Friedrich Plank at the 9th International South Sudan and Sudan Studies Conference. Bonn, July, 25th 2012. Konfliktregelung in der Verfassung des Südsudan with Friedrich Plank at the 37th Annual Meeting of the Working Group for Constitutional Law in Overseas. Limburg, July, 7th 2012.